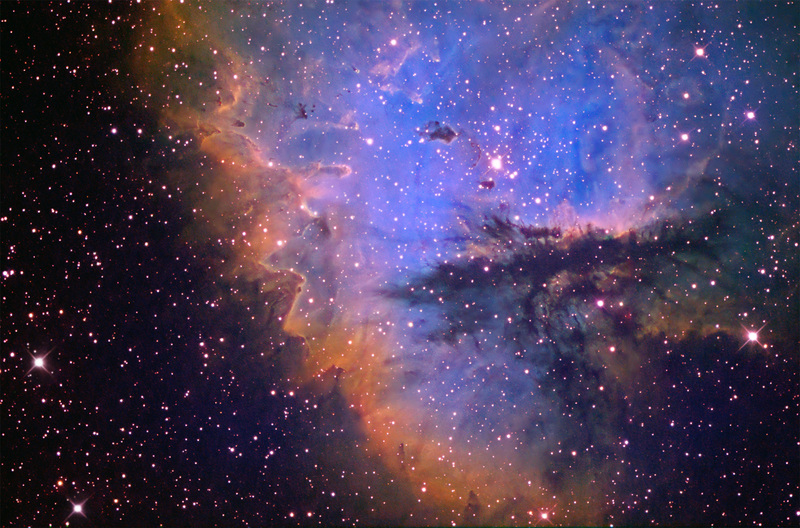 Rob Gendler has provided an excellent write-up on NGC281. Click here. In summary, NGC281 is a bright, very young HII emission region in the Perseus Arm of our galaxy whose energizing source is the young cluster of OB stars, IC1590, that is estimated to be only 3.5 million years old.